​​​The Allround Finger roller sets are designed to take out loose skin and dirt. This raises the capacity of the line and reduces the amount of dirt in the other machines and is the most gentle and efficient way of pre-cleaning. 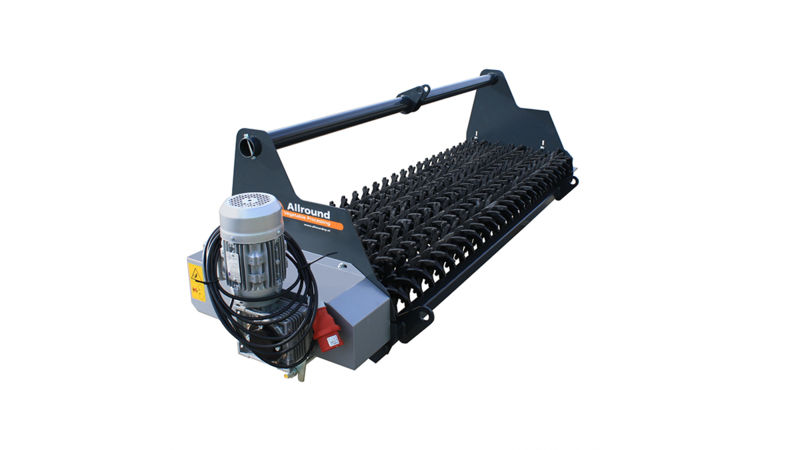 Allround VP offers stand-alone finger roller sets, which can be placed after a belt. Different sizes are available. Allround VP also offers finger roller sets which are mounted on a hopper. The size of these finger roller sets are based on the size of the hopper. Allround VP offers Finger roller sets in various lengths and widths, depending on the needs of the customer. A waste belt can be placed under the machine to transport the dirt and skins, usually into a box.